Aircraft Avionics FAQ - SCI Technology, Inc.
Why should I do business with SCI? At SCI, we have more than 55 years of experience designing, developing and producing our own products at our location in Huntsville, Alabama. In that time, we’ve accumulated vast experience on a wide variety of aircraft platforms throughout all branches of the armed services. In fact, SCI products are currently operating on the majority of all military aircraft in service right now. In addition, we have a cradle-to-grave support structure in place that ensures an unmatched level of service for each and every customer. We also have the resources needed to design test equipment, as well as perform environmental and qualification testing on our products. And since we’re located in a lower-cost region, we have the built-in advantage of being cost-competitive. Some of our most senior engineers have been designing and developing aircraft products for 30 or even 40 years. No matter the requirements, we have the expertise and resources to design an ideal solution for your unique needs. Does SCI design products for both fixed-wing and rotary aircraft? Yes. We do our engineering up front, which makes many of our products aircraft- and system-agnostic. Do SCI’s systems support Ethernet capability? Yes. Our products are fully digital and easily adaptable. However, we need to know the specifics of your Ethernet requirements in order to ensure our solution meets your needs. Can SCI adapt data concentrator products to my application? Absolutely. 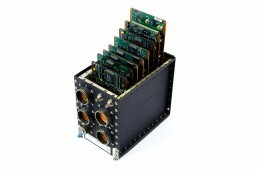 We craft a multitude of Data Concentrator Unit (DCU) and Aircraft Interface Unit (AIU) variants for many aircraft applications. More than 4,000 SCI data-concentration products are currently in service on military aircraft platforms. How much experience does SCI have with aircraft processors? Our extensive experience with processors dates back to the 1980s. Notably, we designed, developed and delivered more than 5,000 processors for the AH-64D Block I and II aircraft. Does SCI have the ability to perform full qualification testing?